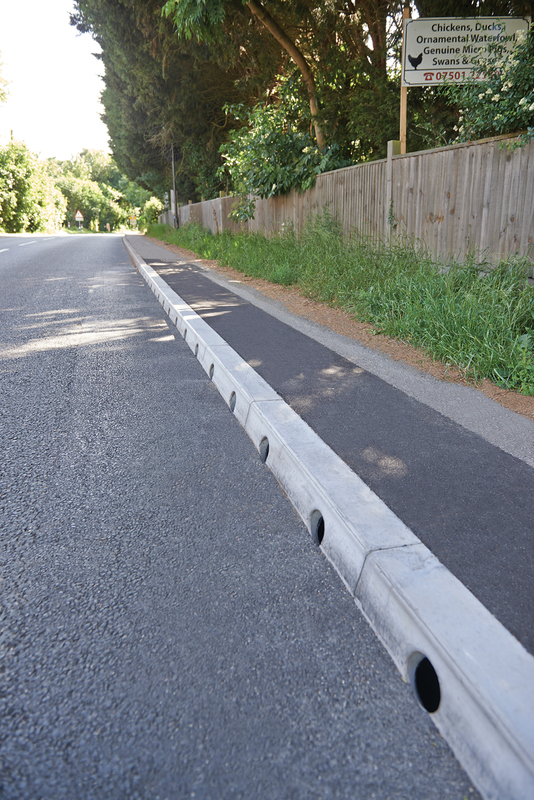 As the demand for more cost effective and simple drainage systems grows, Marshalls Mono Beany was selected to help improve a busy A road along the south coast. The A259 is a busy road that runs along the south coast passing through Hampshire, West Sussex, East Sussex and part of Kent. The Highways Agency wanted to put measures in place that would improve part of the road close to the village of Guestling Green near Hastings. To make it more reliable and safe for users, the project involved resurfacing to prolong the life of the carriageway and also required a more effective drainage system. A team of engineering consultants was appointed to design the new road improvements, including the use of a permeable system and replacement of the gullies, which had caused previous problems with overflowing. Carnell Contractors partnered with the Highways Agency to implement the improvements and worked with Marshalls to evolve the design using the Mono Beany to help resolve the previous drainage issues. Mono Beany is manufactured from Marshalls M-Tec concrete and carries the British Standard Kitemark. This high-strength concrete is cast around a rotationally moulded plastic core, which provides increased strength with less material as well as reduced flow resistance. As it is a one piece system, design is straightforward and installation is simple, which ensured that Marshalls was able to meet the specification developed by the engineering consultants. Approximately 600m of the product was provided including a mix of both Half Battered and 45° Splayed components. 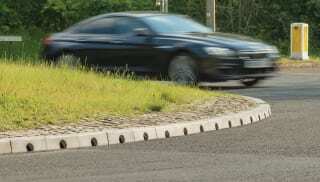 Droppers and Centre Stones were also supplied and used at the access points where vehicles drive across the kerb line. These enable the surface water to drain at these locations, ensuring it doesn’t collect and cause future flooding problems. Marshalls worked closely with Carnell throughout the six-week project to deliver the required elements of the system in the specific timescales requested by the contractor. To minimise disruption for road users, the project had to be completed as quickly and effectively as possible. The one piece design combined with the fact that only a single mechanical lift is required per metre, meant that the Mono Beany was quick to install and in turn, helped to reduce costs. Specifically designed for low to medium flow capacity, the product also has excellent surface drainage efficiency. Inlet apertures are 500mm apart, which significantly reduce running or fast flowing water on the carriageway and eliminate ponding. The benefits of the Mono Beany have been recognised by Carnell Contractors, which has selected the system for another highways project in East Sussex. 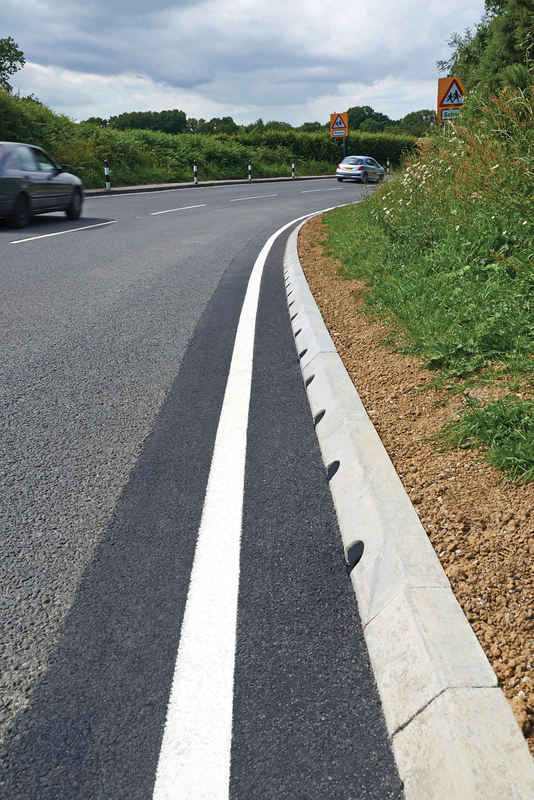 Around 250m of Mono Beany has been installed 20 miles away, along a stretch of the A21 to help upgrade the road.